At Modern Smile Center, we know how hard it can be living with broken, decayed, and missing teeth. It can also be hard living with old, ill-fitting removable dental appliances like partials and dentures that get in the way of eating, speaking, and smiling comfortably. Thankfully, Dr. Cimino has the clinical expertise, the modern materials, and the advanced technology to create beautiful, natural looking restorations that look, feel and function just like natural teeth. With our advanced E4D milling machine, we can complete many restorations like crowns and bridges in a single visit! At many other dental offices in Tomball, having a crown or other restoration placed would require multiple appointments. Your first visit would include messy impressions, a numbing injection, and preparation of the natural tooth. Your impressions would be sent to an off-site lab to have your final crown created, and they would fit you with a temporary to wear in the interim. After a few uncomfortable weeks with the temporary, you would return for another appointment. You would need another injection, have the temporary removed, and finally, have your crown fitted. In some cases, you may even need a third appointment for adjustments. Are we having fun yet? Thankfully, at Modern Smile Center, we’ve invested in a high tech milling machine that allows us to digitally design, create, and place restorations in a single appointment! Advanced digital technology leaves less room for human error to create your perfect restoration the first time. If you’re an adult, it’s likely that you’ve had at least one cavity filled in your life. Most of them were probably when you were a kid, and they were most likely filled with metal amalgam fillings. But adults get cavities, too, and we’re thankful for advancements in modern dentistry and materials science that allow us to treat tooth decay without the use of mercury. Tooth colored fillings are made from a composite resin material ( a mixture of biocompatible plastic and glass) that’s non-toxic, durable, and blends in seamlessly with your natural teeth. Tooth colored fillings are more stable than metal, as they won’t expand and contract with temperature changes like metal fillings do. Tooth colored fillings are completely safe for the human body without the use of toxic mercury. And last but not least, tooth colored fillings are a beautiful alternative to metal because they won’t leave unsightly dark spots and are indistinguishable from your natural teeth. If you have a tooth that’s badly decayed or broken and is past the point of repair with a simple filling, you may require a crown. Crowns are tooth-shaped caps that are placed over the top of a damaged tooth to restore it to full aesthetics and function. With our advanced same day technology, we’re able to complete the whole process – from impressions to final placement – in a single visit! First, we will take quick and easy digital impressions that make the old goopy impressions of the past look like a bizarre form of torture. Your impressions will then be sent to our digital imaging software that creates precision models of your new crown with impressive accuracy. While you wait, we will prepare the tooth by removing any decay or damaged tooth structure, and make room for your new crown. We select a block of high-quality ceramic that perfectly matches your exact tooth shade and translucency. We insert the block into our E4D milling machine, and your new crown is created right then and there! If you didn’t know any better, you might think it was magic. We’ll fit you with your new permanent crown, secure it, and make any adjustments necessary, and you’ll leave with a brand new smile the same day! If you’re missing a tooth or multiple teeth, a dental bridge can fill the gap and restore balance and function to your smile. When it comes to missing teeth, we will always recommend dental implants first, as they are the most secure solution and can provide support for the jawbone. However, if you are not a candidate for or cannot afford dental implants, a dental bridge is your next best option. 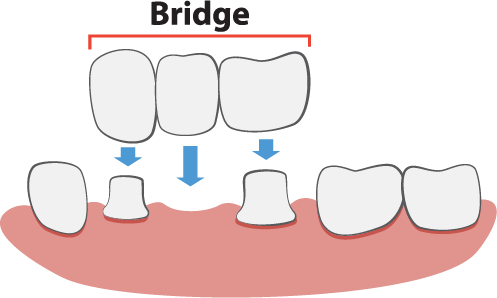 Typically bridges are anchored to your surrounding teeth with the help of crowns on either side. This is great for patients who need crowns on either side, but not great if the teeth are healthy – we try to conserve healthy teeth for as long as possible. We can avoid the need for anchoring crowns by placing dental implants and securing the bridge to the implants. If you’re missing teeth, you should replace them as soon as possible to avoid further complications. When teeth are missing, the surrounding teeth can shift and rotate, your alignment and bite can change, and your whole oral structure may become compromised. Bridges can restore the balance and allow you eat, speak, and smile with confidence again. If you’re missing most or all of your natural teeth or living with ill-fitting dentures that rock and slip, we would love to help you with our modern dentures and partials. Made from durable and natural-looking ceramic and acrylic, dentures from Dr. Cimino look, feel and function just like natural teeth. If you still have some healthy teeth remaining, we would love to preserve them for as long as possible. We can use these healthy teeth to serve as anchors for a new set of partial dentures. 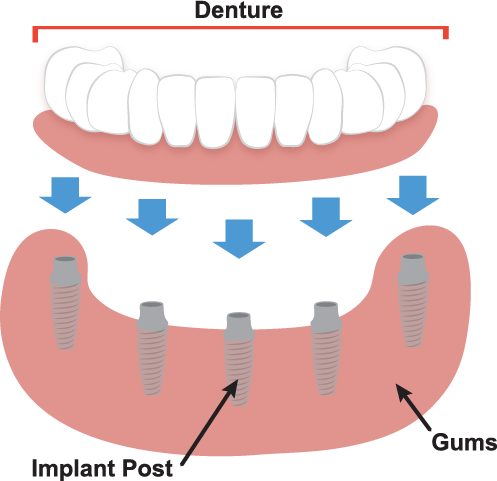 Depending on your needs and preferences, partials can be removable or fixed with dental implants. If you’re missing all your teeth or are looking to upgrade your current dentures, Dr. Cimino can create a beautiful new set of dentures for you. Quality dentures allow you to eat whatever you want, speak clearly, and smile with confidence again, and they may not even need adhesives to secure. If you are a candidate for dental implants, we highly recommend securing your dentures with implants to lock them in place for the most life-like solution that preserves your jawbone and facial structure. If your mouth has been devastated by rampant tooth decay, gum disease, or a traumatic injury, and you’re wondering if there’s a dentist in Tomball that can help, you’ve come to the right place. Dr. Cimino has the clinical expertise to rebuild your smile from the ground up, and the compassionate care to walk you gently and comfortably through the entire process. If you have healthy teeth remaining, we will do our best to preserve those for as long as possible. The process will begin with a comprehensive consultation with Dr. Cimino. This is time for you to sit down one on one with the doctor to get to know each other. You will discuss things including your diet, lifestyle, oral and overall health issues and existing restorations, as well as your goals, budget, and ideal timeline. Together, we will come up with an ideal treatment plan to get your smile back on track. Your personalized treatment plan may include any number of services depending on your needs and desires. If you’re suffering from gum disease and tooth decay, first we will prescribe treatments and products to help you get your oral bacteria under control. If you’re in need of a full mouth reconstruction, your best option for replacing missing teeth is dental implants. We have the expertise and the advanced technology to surgically place implants right here in-house. Depending on your needs, we can create beautiful and natural looking teeth to give you the healthy, beautiful, functional smile you deserve. If you are an anxious patient, we have sedation options available to help you get the care you need…comfortably. To get started on restoring your smile, your confidence, and your quality of life!